Looking for a different name? 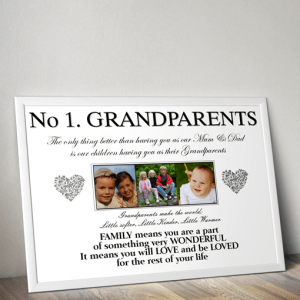 Add your own photos to create a special Personalised Photo Gift for Gran. Whilst we will try our very best, we cannot guarantee your photos will be used in the order you send them to us. We may need to change which letters they go in to best fit the design of your print. 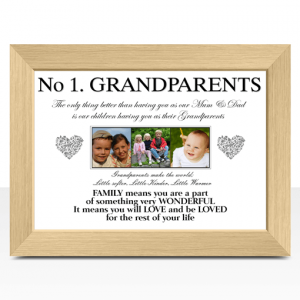 This personalised Gran Photo Print will make a lovely gift for any Gran. 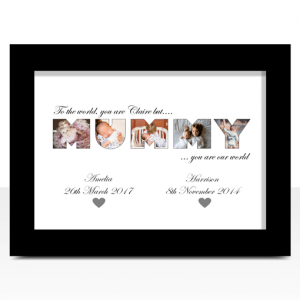 Each letter can be customised with a photo of your choice to fit the design of your print. How to personalise your print. Choose the frame you want. * Photos may not be used in the order you send them to us. ** All other print details as shown in the example will be included on your print. 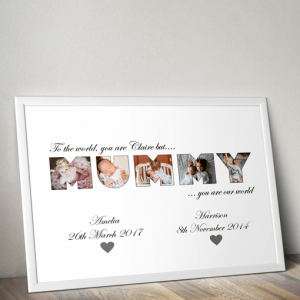 Create your own personalised ‘MUMMY’ photo print to make the perfect gift for any mum. 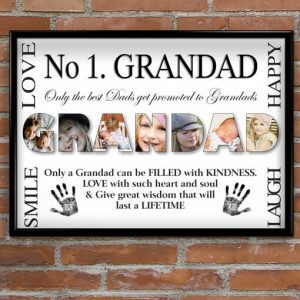 Add your own photos to this personalised Grandparents photo print to create a very special & unique gift. 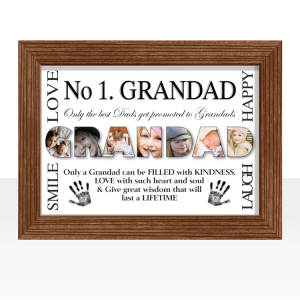 This personalised Grandad Photo Print makes the perfect gift for any Grandad. Each letter can be customised with a photo of your choice to fit the design of your print.